Perfect fit and durable. Good buy. 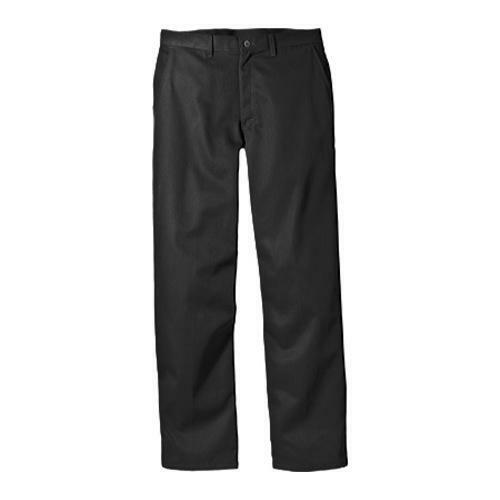 Maintain a polished and professional look in these pleated work pants from Dickies, featuring a casual waistband. These pants are made of stain release and wrinkle resistant fabric. I NEEDED A PAIR OF PANTS YHAT WERE NOT JEANS AND BOY I GOT THEM. THEY FIT SO NICE AND YOU CAN WEAR THEM AND NOT WORRY ABOUT STAINS....I LOVE THEM! My husband loves Dickies. I found 30in inseam on Overstock after looking all over the internet. Oh, I found Dickies with a 30in inseam but they were priced too high for me. Thanks Overstock. Been buying Dickies for a long time. I pay a much higher price in the stores. They wash and wear forever. My son loves them I saving this pair for Christmas I know he'll love them. He wears them to work in and to dress up in. They wash and wear forever. A real bargain I'll be buying them from Overstock from now on. I highly recommend you give them a try. My son ask for work clothes for Christmas. Dickies has a great reputation. Fabric is heavy and not suitable for dress slacks. Not holding up as well as anticipated will have to replace within first year! This is a good pair of pants to order for my husband at a good price.